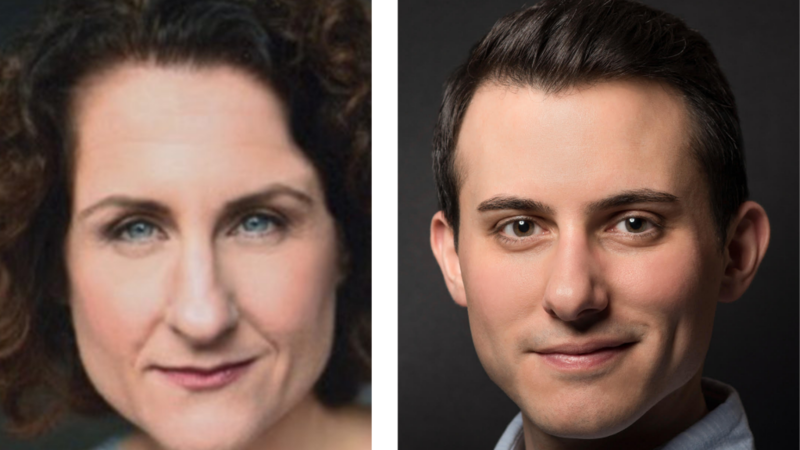 Broadway veteran Marya Grandy (Les Mis) and Jeff Award-winning music director Tom Vendafreddo make their Hey Nonny debut, after playing shows at Feinsteins/54 Below (NYC), Uptown Underground and Venus Cabaret (Chicago), The Rockwell (LA), and Martini’s Above Fourth (San Diego). Join them for an unforgettable evening of music, consisting of everything from world premiers to Broadway classics. You know Tom Vendafreddo from the many musicals he’s music directed and conducted at the Paramount Theatre, including Tommy, Once, In The Heights, Mary Poppins, Hairspray and Oklahoma. The man has seven – count ‘em seven – Jeff Award nominations, and that’s no accident. He’s a truly talented musician, singer and performer. Marya Grandy was born in our Northwest Suburbs, but grew up in Los Angeles and then New Hampshire. She comes from a theater family, and quickly became a musical theater stalwart in New York City. She’s performed in dozens of Off-Broadway and Broadway productions, including a starring role in Le Mis. She’s also a veteran cabaret performer all over the country.